This page notes details of Dark General Freed (DARK/Warrior/Effect Monster) : decks, tips, effect and rulings. Learn and enjoy playing Yu-Gi-Oh! Duel Links! Cannot be Special Summoned. Negate any Spell effects that target a face-up DARK monster(s) you control and if you do, destroy that Spell Card. During your Draw Phase, instead of conducting your normal draw: You can add 1 Level 4 DARK monster from your Deck to your hand. This card must be face-up on the field to activate and to resolve this effect. Attack is pretty decent for a Level 5 monster. It can manipulate the cards that you will draw in your Draw Phase. Your monsters are protected from Spell Cards. You can use The Warrior Returning Alive to get it from your graveyard. Defense is not that high for a Level 5 monster which makes it an easy target if switched to defense position. It can only protect face up DARK monster(s) from Spell Cards. A continuous trap card that you can use once per turn. This helps with getting specific card(s) in your deck, mostly if you use a deck that contains both Light and Dark attribute monsters. This can be used to bring Freed back to your hand. 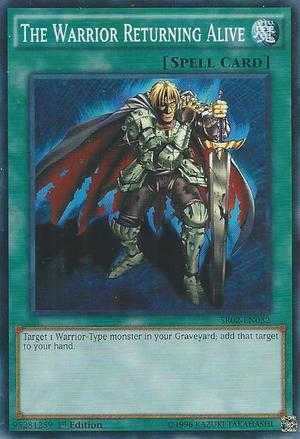 Best used together with other Warrior-type monsters so you have more options, instead of becoming a possible dead card if you can't use it. 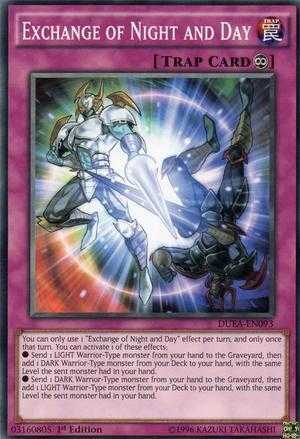 I would put 1 of this card in every Gravekeeper or any Soul Exchange deck. No OTC, no EC. You can dodge Mirror Wall, Only Etaqua or a bigger tread works on him. Beats HHG by himself. Another con is that he negates your own spells, which is annoying if the spell that would win you the game targets. Because the first part of SRH targets your oppenent not you, in order for Freed to negate it for you, it has to target your side of the field. Freed protect yourserlf with your efect ?? Did this card negate effect of trap card? How do you use its effect during draw phase? Is it a bug or work as intended ? I tried to summon this guy (either before of after) my Relinquished equip with the opponent's target monster, the equipped monster always negated. "You're flat out wrong. Unless the opponent monster used for Order to Charge is Dark, it's going to get tributed and then your monster destroyed." This statement was in response to CodeT statement. CodeT first 2 sentences are wrong. CodeT next 2 sentence are right. Your first response sentence is wrong because not everything CodeT said was flat out wrong. Only half of what he said was wrong. Your second response sentence is right. However, I could be nit picky and find errors in it for the giggles! To clear the confusion about this I will explain directly to the point, can Dark general Freed negate Order To Charge? no. Why? because Order To Charge doesn't target on the initial destruction, the only time OTC targets is when you pay the cost by "selecting" one of your normal monsters as a tribute to "destroy 1 monster on the field". OTC is NOT specifically targeting a monster on the field. Choosing the monster to tribute is in no way a cost. what a good eck to build with this card?